this post is sponsored by Martha Stewart Living, however all thoughts and opinions are my own. we're all guilty of similar faults, following the same routine over & over. we often don't take time to consider that our bodies evolve, our needs evolve and our routine should evolve with it! 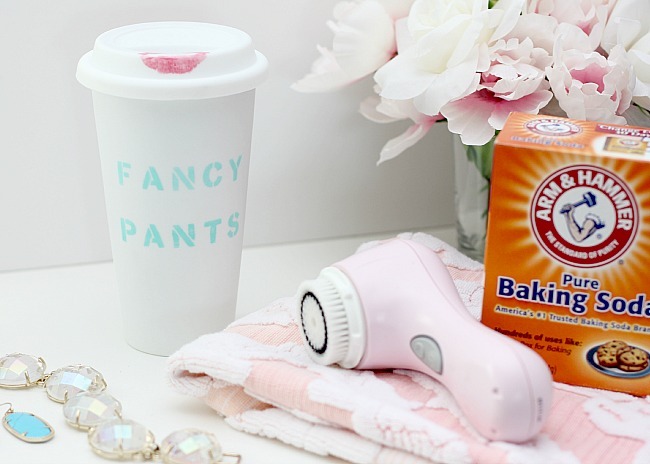 what better time than spring to refresh your morning routine?! 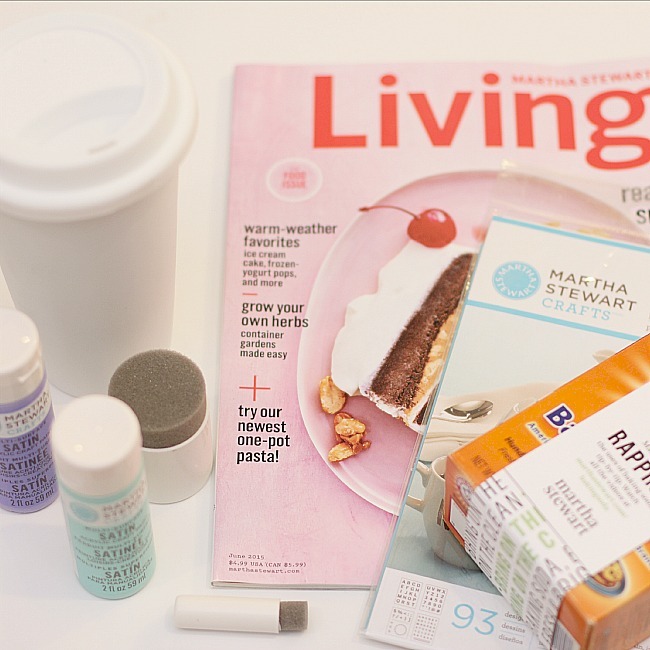 i am a member of the Martha Stewart Blogging Network and as a member i was sent the products below to get my morning routine off to a better start. we all start off our days with the same monotonous routine and these were some fun products to give my morning routine a jump start. my routine was given a jumpstart with a new morning mug. if you follow me on Instagram you know i am a fan of a drink. any drink. as long as it is cold and refreshing i am first in line. enjoying my drink in a fun new cup? even better. included in my box of goodies were Martha Stewart Craft products to create my own, stylish, reusable mug. 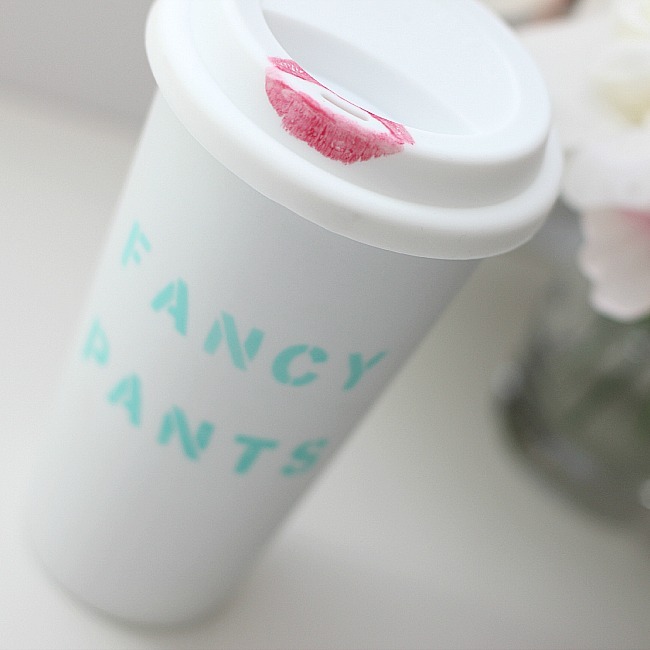 naturally the phrase 'Fancy Pants' felt like a good fit. i used my craft stencils to spell out the phrase and with my foam pouncer i stenciled the phrase onto the mug. i gave it some time to dry and i was good to go! 1 make a paste of 3 parts Baking Soda to 1 part water. apply to face in a circular motion and rinse clean. 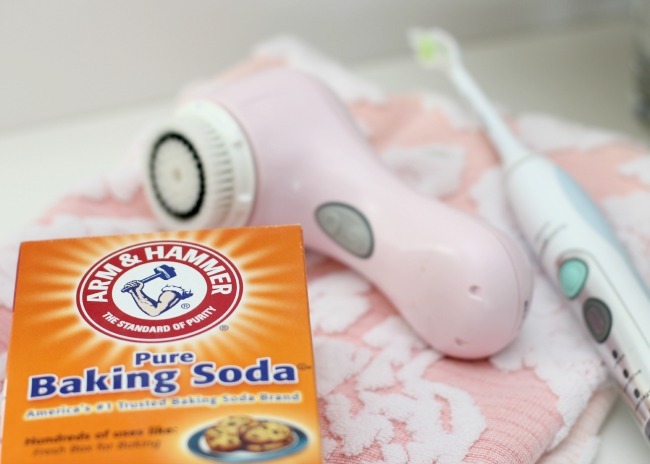 the Baking Soda acts as a simple exfoliator. 2 in a pinch you can use Arm & Hammer Baking Soda instead of your regular toothpaste. It will help to clean and whiten teeth. 3 Arm & Hammer Baking Soda also makes a great mouthwash. put one teaspoon in half a glass of water, swish, spit and rinse. this will help neutralize odors. 4 add a quarter size amount of Baking Soda into your palm along with your favorite shampoo. the Baking Soda helps remove the residue that styling products leave behind so your hair is cleaner and more manageable. 5 add a box of baking soda to your closet to help keep clothes and shoes smelling fresh. remember to replace every 30 days for optimum results. 6 to deodorize your sink and tub drains and keep lingering odors from resurfacing, pour 1/2 cup of Arm & Hammer Baking Soda down the drain while running warm tap water. hopefully i have you on the path to refreshing your own morning routine.